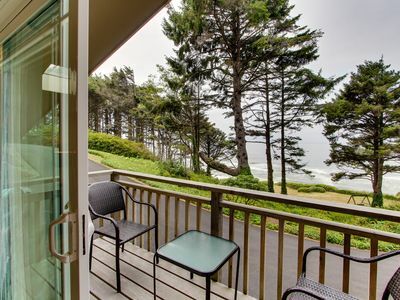 Towering evergreens, beautiful lodgings, and sweeping views of the Pacific Ocean await when you book your next family reunion or company retreat at the gorgeous Oregon House property. Comprised of five separate cottages and perched at the point where the forest meets the sea, this secluded, village-like community sleeps up to 28 people - while still allowing everyone to enjoy a unique sense of privacy. 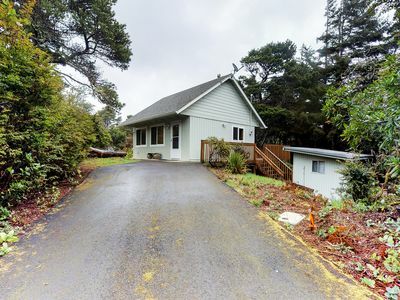 The Oregon House is located about seven miles south of Yachats, making it close enough for a day trip to town but far enough to feel like you're hours from civilization. 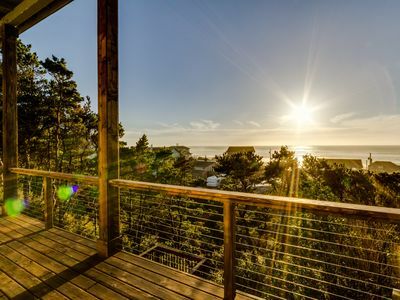 Perched on a bluff overlooking the Pacific, the property is dotted with benches and wooden swings to take in the view, and is perfectly situated to explore the spectacular coast scenery at Cape Perpetua. 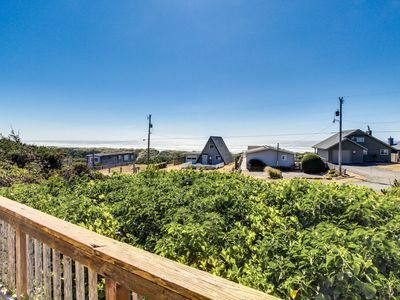 A beach lies at the bottom of a fairly steep private path on the edge of the property, and a more accessible beach is just a few miles away at Tenmile Creek. Despite the name, the Oregon House is made up of five homes, ranging from cozy cottages to a spacious great house. 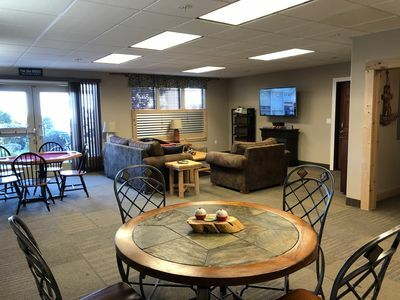 Each building has been recently remodeled and refurbished with new furnishings, kitchenettes for simple meals, and skylights to let in the spectacular Northwest light. 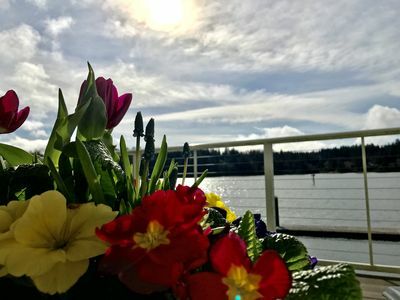 Each home also boasts a spectacular view of the water and trees from a private balcony, allowing you to enjoy the coastal beauty any time of the year. This posting is for the entire Oregon House property. Each building can also be rented individually if you don't need as much room. 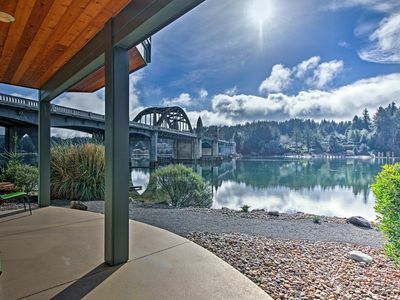 Included in the Oregon House estate is the Gate House, which accommodates eight. The second home, The Carriage House, sleeps two and has a cozy studio setup. In the largest home on the property, the five-bedroom Estate House. You'll find enough room to sleep up to 12 travelers. 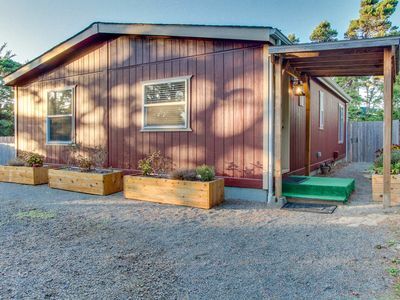 The fourth included home, The Cottage, is another studio just right for two. And finally, The Duplex includes both private halves of a home, each containing one bedroom and one bathroom, to sleep a total of six vacationers. 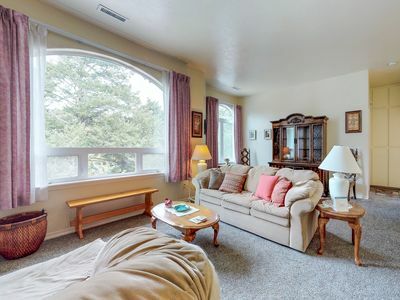 All in all, this property has room for a whopping 28 guests. 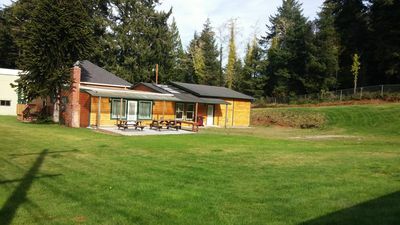 Turn your next group getaway into an event no one will ever forget, and book your reservation for the Oregon House today! 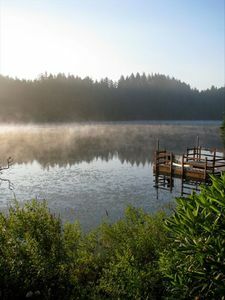 * The Oregon House property is available for weddings! 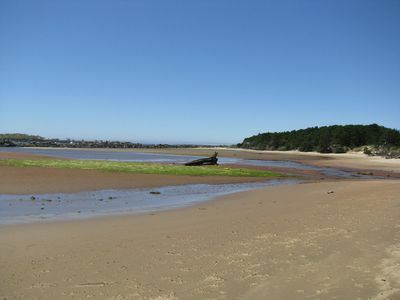 Water Access: While the property is oceanfront, the beach is not always accessible from the property and when it is the trail is steep. 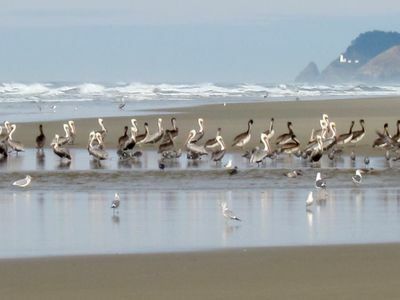 Easy beach access is located at nearby 10 Mile Creek. 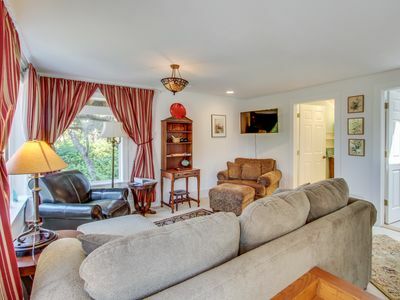 Vibrant and peaceful beach area home that's also dog-friendly! 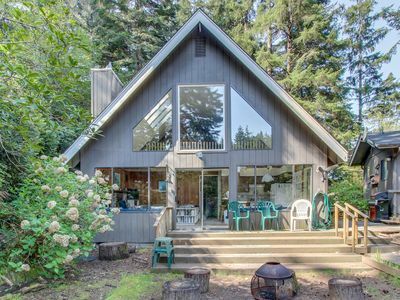 Lovely dog-friendly home w/ lakefront views, dock, and a private guest cottage! Lofty Pelican is a three-story modern loft-style beach home with sweeping views! 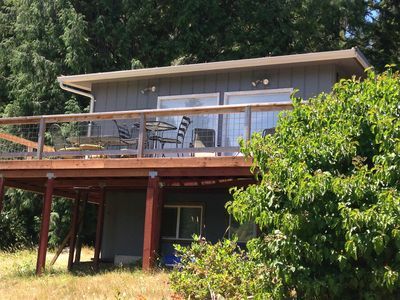 This is a private, quiet, clean place close to the beach,with nice outdoor area, including picnic table and bbq, at a great price, what else could you ask for? 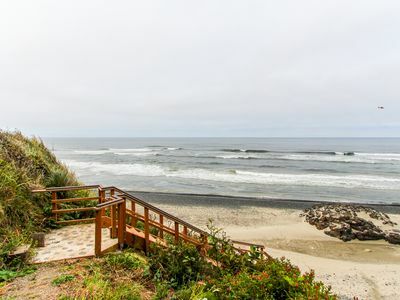 Dog-friendly getaway with outdoor fire & balcony - steps from beach access! 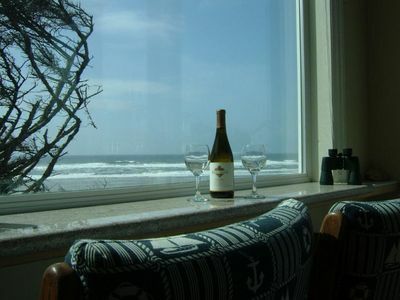 Spectacular ocean views from this dog-friendly cottage await! Charming Riverfront Condo in Old Town Florence! NEW LISTING! 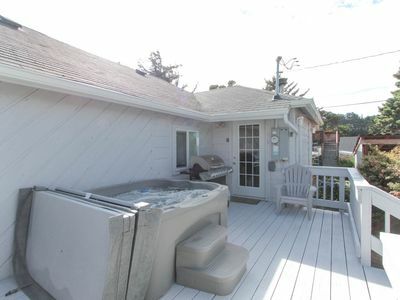 Upstairs apartment with river views, shared hot tub & beach nearby! 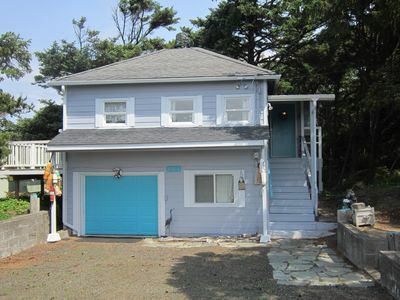 Charming beach bungalow with beach access across the street. 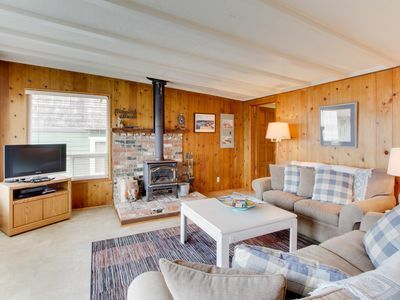 Quiet & secluded cottage w/ an outdoor firepit, deck, & easy beach access!